They say the eyes are the windows to the soul. So why not dress them with the perfect lashes. 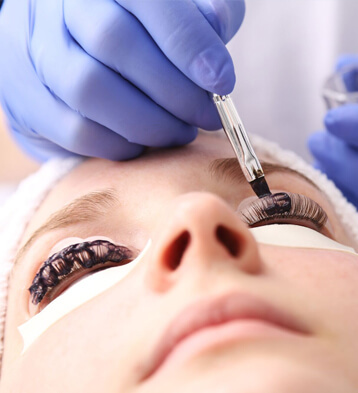 Here at Westend Laser Clinic, we have a wonderful team who will help you achieve the perfect look with Lash lift. Anyone that wants fuller, stunning looking lashes will benefit from Lash Lift. No more need for extensions or sticky glue, just fuller amazing looking lashes that will make you feel great. If you are looking for that extra volume, Lash Lift could be the solution and is available in various looks from C Curl (very curled) through to a more subtle J Curl. Don’t worry though we’ll walk you through all the options and pick the perfect one for you. Eyelash extensions are used to enhance the length, curliness, fullness, and thickness of natural eyelashes. The extensions may be made from several materials including mink and synthetic hair. The main method of applying the extensions on is by using an adhesive glue to individually sticking them to the eyelashes one-by-one. With the evolution of materials and formulas, eyelash extensions are becoming increasing popular. They give you long-lasting, fluttery lashes and require only minimal daily maintenance. Wearers are able to customize the way their eyelash extensions look with hundreds of lengths, volumes and colours, too.